Jan Wong was one of Canada's ace reporters. She won readers and admirers for the Globe and Mail. Then suddenly, a couple of years ago, she vanished from the pages of her paper. Why? Because she suffered from depression, and management refused to acknowledge the fact; they thought she was just being lazy. One has some sympathy with the Globe's misunderstanding, but it's come at the cost of the thinning of the ranks of honest frontline journalism. 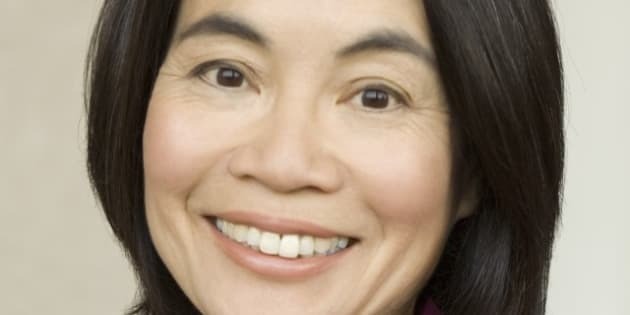 For 20 or so years, Jan Wong was the Globe and Mail's ace reporter, blending facts, analysis, perceptions and opinions arguably better than anyone in the business; it won her readers, admirers, and perhaps some envy and jealousy from her peers. Then suddenly, a couple of years ago, she vanished from the pages of the Globe. People like me who were in the media wondered why -- but moved on. Until her self-published book recently appeared -- Out of the Blue -- people like me who respected her work but didn't know her, hadn't realized that she was suffering from clinical depression so intense that she became a different person -- unsure, paranoid, unable to sleep or eat, bursting repeatedly and unexpectedly into tears, fits of rage and spasms of obsessive shopping. Most significantly, she was unable to write. A walking basket case. Her book is invaluable in outlining the effects and symptoms of depression, and the various ways of dealing with it. As she points out, it's true that employers are largely unaware or ignorant that depression is an illness, not a ploy to malinger or dodge work. Anyway, for the 10 to 20 per cent of the population that is vulnerable to depression, Wong's book is useful in dealing with the affliction. She is such a good reporter, and despite a narcissistic, self-absorbed personality, she dissects her own emotions, consults writers who've endured depression (William Styron), and recognizes that her husband Norman and teenage kids, Ben and Sam, stood loyally by her when her world crumbled. For me, and others in the media, it's not her battle with depression that is so intriguing, but her battles with her newspaper, the Globe and Mail, which she says felt she was malingering and cut her sick benefits, ordered her back to work, and eventually fired her. Personally, as someone who has been editor-in-chief of a newspaper (the Toronto Sun), I found Wong's account of her two-year running battle with the Globe more bewildering than outrageous -- though outrageous it certainly was. How come so little slack was given her when she was their marquee investigative reporter? An acknowledged workaholic who could (and did) cover anything, and who had the (rare) gift of being a journalist who actually brought in readers to the Globe. Management tended to be brutal -- especially when, according to doctors, therapists and psychologists who treated her -- they really didn't accept or understand that depression is an illness just like cancer or heart disease are. What got the Globe and its human resources attack dogs questioning her honesty was that her doctors advised that travel was valuable therapy (plus medication) in recovering from paralyzing depression. One has some sympathy with the Globe management's misunderstanding why Jan Wong who, unable to write or come to work, was able to visit Arizona with her father, go to Sweden to watch he son play hockey, live it up in Paris, go on a book tour to Australia, visit a friend in Shanghai. That sort of therapy is alien to the corporate mentality. The Globe cut off her sick pay twice, despite medical advice that she really was incapacitated. Manulife and Granta were used by the Globe to keep tabs after Wong to return to work, and to give her ultimatums. Management showed neither sympathy nor understanding. At her peak as a journalist, Jan Wong was famous or infamous (depending on outlook) for her lunches with celebrities. The impression was that she eviscerated them -- which she denies, saying that only 20 per cent of the lunches were of the kind where her guest (victim?) emerged as chopped liver. One of her five books is titled "Lunch with Jan Wong." Another thing that would have baffled the paper's management is that she could work on her book about her years as the Globe's correspondent in Beijing, yet couldn't write for the newspaper. On book tours, she put on a game face, and even worked on her present book. This was all beyond the comprehension of her employers. And yet it was the Globe that her various doctors and therapists agreed had provoked her depression when she reported on school shootings in Montreal. In three notorious cases, the shooters were not "pure laine" Quebecers, but immigrant, or foreign-blood Quebecers. This use of "pure laine" caused outrage in Quebec, and hate mail with threats of murder to Wong. Although her article was edited and approved by the paper (which at the time wanted more of the same), management backed down when a tsunami of complaints hit. They hung their star reporter out to dry. This was the trigger to her depression. Jan Wong draws parallels with herself and China's Cultural Revolution, when she was, by her admission, an "ardent Maoist." While studying in China as a 19 year old, Wong turned in a friend who told her about wanting to visit the U.S. The friend was expelled and hounded. The reporter in Wong can't deny or camouflage her betrayal and to her credit, years later she looked up her "victim" and apologized. Although Doubleday had edited her present book, had it lawyered, approved its publication, advertised it on their web site, was taking pre-orderes, and lined up a book tour -- they cancelled at the last moment. Why? What went wrong? Wong writes that the Doubleday publisher "did not want to publish the book with the Globe material as written, in particular the parts [she] called 'corporate bullying.'" It was then that Wong realized Doubleday didn't want to upset the paper, perhaps fearing it might indulge in reprisals by not reviewing Doubleday books. She realized that if a huge corporation like Doubleday could be intimidated by the Globe, what chance did an individual or the little guy have confronting a large media powerhouse? The answer: very little. Wong realized that the newspaper she regarded as her home away from home had abandoned her. She was fired -- and she sued for wrongful dismissal. In negotiations for a settlement, the Globe wanted a gag order -- her promise not to publicize or even mention her fight with the paper. Despite a huge settlement offered, she adamantly refused. Finally the Globe capitulated and her only agreement was not to reveal the amount of her payoff, which put her on easy street. Earlier, the Globe had ordered that she not to mention their dispute, or give interviews, or say anything detrimental about the paper. So much for its much ballyhooed dedication to free speech! This only scratches the surface of Wong's book, but her dealings with the Globe are an eye-opener even to media types and, for what it's worth, alien to just about every way the Sun dealt with employees in the early days. Jan Wong now teaches journalism in at the University of New Brunswick in Fredericton. She has recovered from depression. And she notes, not without rueful satisfaction, that her tormentors in Globe management -- the editor-in-chief, the deputy managing editor of features, the vice-president of human resources, and others -- were all fired or let go. While it seems Jan Wong has landed on her feet, the ranks of honest frontline journalists has been thinned by her departure. And that's a pity for newspaper readers.